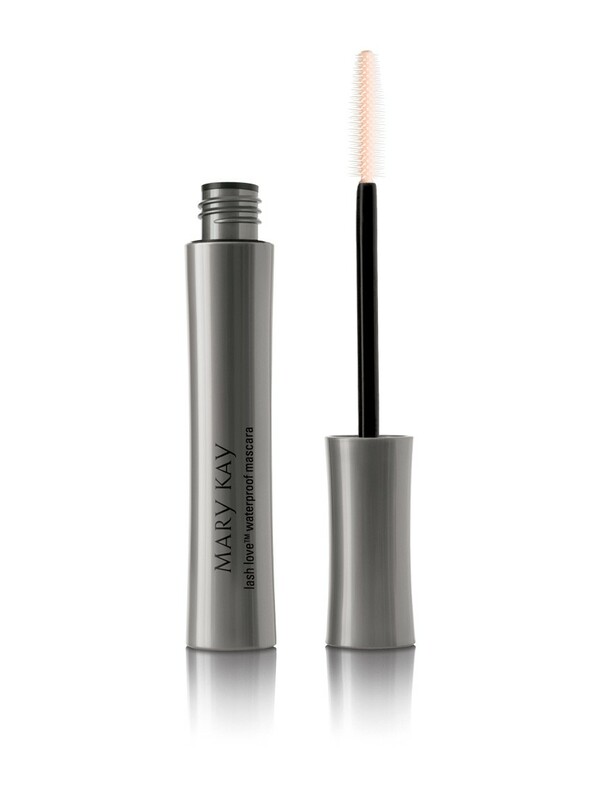 Mary Kay® Lash Love® Waterproof Mascara defines, defends and delivers significant volume without looking overdone. A flexible, sculpted brush separates and coats even fine, hard-to-reach lashes, so volume looks instantly magnified – with no clumps in sight. Lashes appear fuller, lifted and multiplied, while looking naturally flawless, soft and healthy – with none of that stiff look you can get from other mascaras. Exclusive Panthenol-Pro™ Complex and vitamin E help moisturize, strengthen and condition lashes, defending them against breakage and brittleness. The secret? A flexible, sculpted brush that separates and coats even fine, hard-to-reach lashes, so volume looks instantly magnified – with no clumps in sight. Lashes appear fuller, lifted and multiplied, while looking naturally flawless, soft and healthy – with none of that stiff look you can get from other mascaras. The water-resistant formula, which contains our exclusive Panthenol-Pro™ Complex and vitamin E, help moisturize, strengthen and condition lashes, defending them against breakage and brittleness. So if you’re looking for the perfect mascara to wear every day, you’ve found it. It’s time to show your lashes some love with Mary Kay® Lash Love® Waterproof Mascara. Use these makeup artist tips, and pretend you’re a pro! Two or more light strokes of mascara are better than a thick, heavy one, especially if you’re going for a more natural look. Don’t pump the tube – the only thing that does is force more air inside, which can end up drying out the formula. Instead, slowly remove the wand from the tube, and if another coat is needed, slowly put it back in and take it out instead of using a vigorous pumping action. All Mary Kay® mascaras have built-in wipers inside the tubes that help remove excess formula before you pull out the wand. When applying mascara, gently wiggle the brush back and forth in a zigzag motion as you move it from base to tip. This will help separate lashes. When removing mascara, don’t tug or rub at your lashes since that can make them fall out. 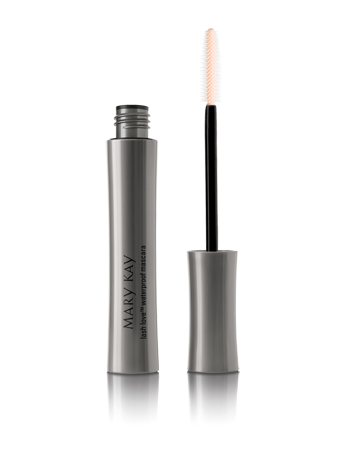 Mary Kay® Lash Love® Waterproof Mascara was formulated to remove easily and quickly. Just moisten a cotton pad with Oil-Free Eye Makeup Remover, pat lashes and then gently wipe mascara away. Panthenol-Pro™ Complex — This exclusive complex contains Pro Vitamin B5 (panthenol) and phytantriol, ingredients commonly used in shampoos and conditioners that together attract moisture from the air and bind it to hair. When used in mascara, this complex adds moisture to eyelashes and helps make the mascara easier to apply. Vitamin E (Tocopheryl Acetate) – An antioxidant known for its moisturizing and conditioning benefits. So what’s so remarkable about the brush? Just about everything. It’s a fact that when lashes clump together, it looks like you have fewer lashes, not more – no matter how much you pile on the mascara. But when lashes are separated – literally fanned out from corner to corner – your lashes can instantly look fuller, thicker, multiplied in volume. And that’s where the Mary Kay® Lash Love® Waterproof Mascara brush works its magic. Its flexible, sculpted design is a real genius when it comes to reaching even tiny, hard-to-reach lashes and wrapping them in color. Instead of using nylon fibers wrapped around a twisted metal rod, this brush is a single, sculpted piece with short and long “spokes” that are perfectly aligned to separate one lash from the next. The short spokes deliver just the right amount of formula, while the longer spokes comb it through, depositing it evenly on the lashes. And the brush was designed to eliminate clumping – which means the application is cleaner and more precise.